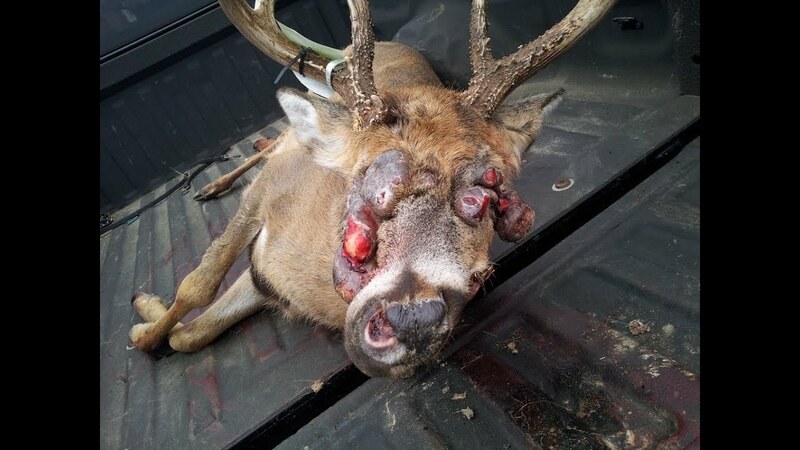 Cancer, ticks, warts, and insect larvae are just a few of the maladies that have caused these deer some nasty appearances. 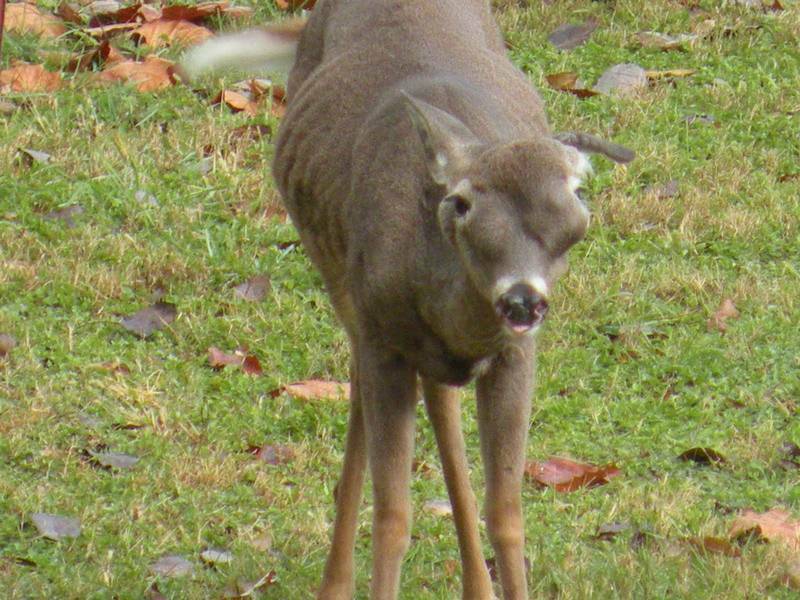 Whatever the reason, nasty is nasty, and these deer have reached the height of deformity. Warning, some of these pictures are grotesque and stomach-turning. You may lose your appetite! See if you can get through all eight of these photos. That's not a scarf. It's a neck full of warts and possibly some tumors. This little guy should have listened to mama; "Stay away from the frogs." I can only imagine how bad that will itch. Sometimes deer get ticks that don't stick around, but they do leave a nasty rash. Nasal bots are fly larvae commonly found in deer in Texas. These were found in a deer skull after harvest. Dogs can normally get medication for mange, but deer have to deal with it unchecked. This is without a doubt one of the nastiest deer around. Tumors are just hanging off and obscuring its ability to see. This little lady is lucky to still have vision with these tumors growing under her skin. Sadly, there are deer that die slow, painful deaths every year due to disease and infections. There are many more that live out a painful existence. These are just a few of the monstrosities around.